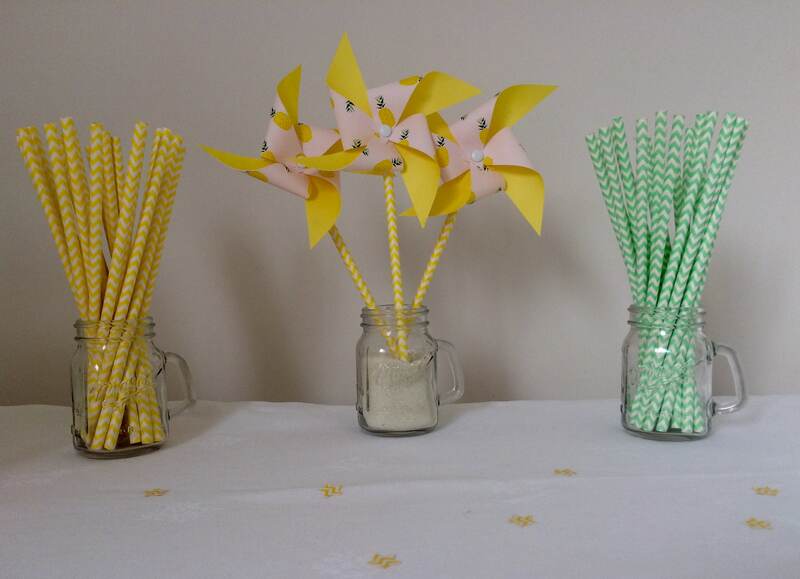 Want to brighten up your event, a lemonade bar, birthday...? 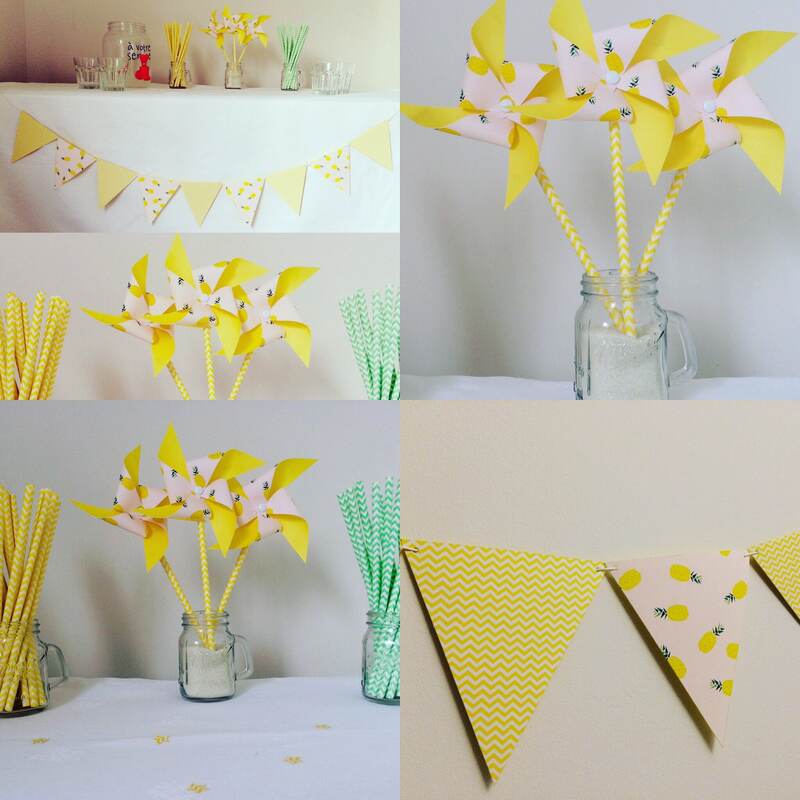 This pretty Bunting and windmill wind pineapple & yellow Garland is made for you! 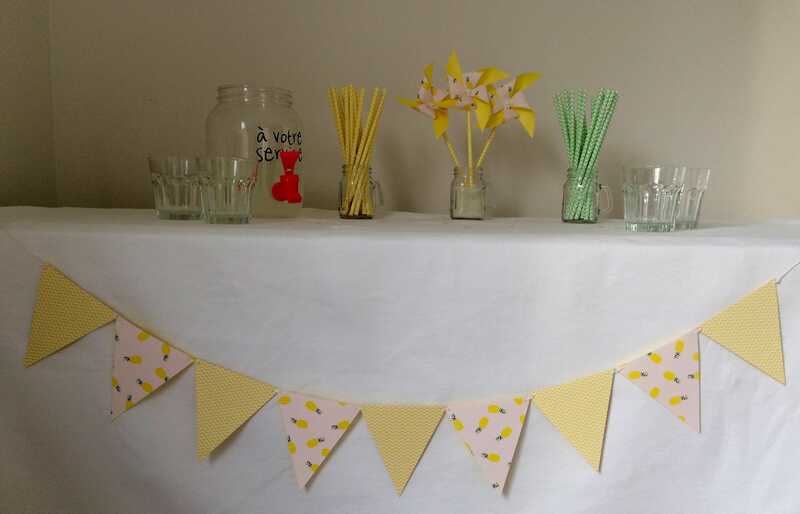 Garland of 1.5 metres of flags (10 flags on white string with 50 cm extra string on each side), feel free to request a different length according to your need. Feel free to contact me with any requests.